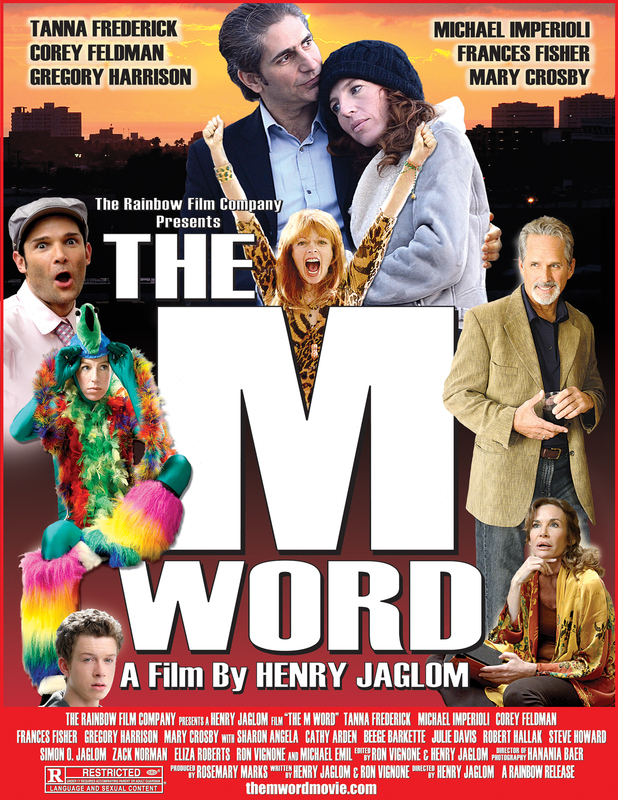 The M Word is a cheeky independent film written and directed by Henry Jaglom, starring Tanna Frederick opposite Michael Imperioli and Cory Feldman. The layered storyline exposes the very real physiological “change” that all women go through at some point towards the later part of our lives. Yep! It’s called menopause, people. Set in a struggling TV station, the ambitious actress named Moxie (played by Tanna) seeks out the opportunity to save the station and open up an important dialogue about the good, bad and the ugly of menopause by showcasing and expanding upon her intimate documentary on her mom and two aunt’s menopausal tribulations. The M Word presents a film within a film, and is worth seeing, if only for the conversation that it begs you to ensue. Last year I was also able to experience and write about Tanna’s incredible performance in The Rainmaker for Ask Miss A, and I recently had the pleasure of being able to ask Miss Frederick a few questions about her experience playing the role of Moxie in the provocative film, The M Word. LaLaScoop: I love the layering of the film’s message and the way it ultimately shows how men and women, young and older all have feelings and expressions of being “out of control.” Can you speak on what the film reveals about women and human nature to you? Tanna: The film is so brilliantly honest about what women go through. It is truly a love letter to women and their bodies, to embrace all stages of life. It reveals the hardships that both women and MEN go through during these changes. I have a great hope that anyone watching the film will connect in one way. LaLaScoop: Were you confronted with anything confounding or that either shifted or solidified your perspective? Tanna: I think as whole, being surrounded by talented and beautiful women who brought the subject matter to light, gave me a deeper respect for all women – if that is even possible. It was truthful and explored so many different degrees of what our bodies go through, and that will hopefully touch everyone that watches it in a different way. LaLaScoop: In both of your roles in The Rainmaker and The M Word, your acting strikes me as being so personal and authentic. I feel as if I am just witnessing a snapshot of your own life. Can you talk to me about your process and connection to each of the roles you played and how those elements may have contributed to your ability to reveal such raw authenticity? Tanna: I always try to connect as much as possible to the roles I play. With the M Word it was very easy to connect with Moxie. She is passionate and full of life, much like myself. After working with Rainbow Film Company, I have seen the world of independent film and it similar to when Moxie fights for the independent television station. There have been many times when we have had to fight for our film to be in a festival or people have had to work for bottom dollar just to finish the film. It’s all about the passion for the project. The Rainmaker was very different from The M Word. The rural setting was fun to be apart of because of my roots in Iowa. Lizzie was a very plain woman who eventually came out of her shell. It was amazing to play someone with that sort of transformation. 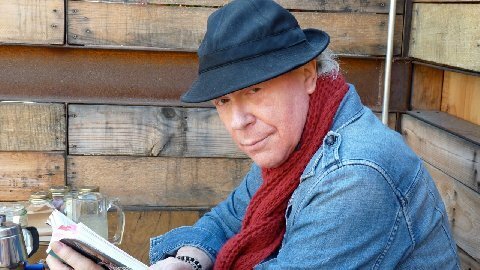 LaLaScoop: What were two contrasting and powerful moments you experienced in creating the film? (Perhaps the funniest and most thought-provoking). The most powerful moment for me in the film was getting to work with my father. It was truly an intimate moment I will never, ever forget. He was absolutely brilliant and honest. It is something that we can share forever. In the film, there is a children’s show and I got to experiment with different characters like Crenshaw the Crab. It was very Mister Roger’s Neighborhood. It was so much fun. I got to dress up in wild costumes and play with crazy voices; it took me back to my days in children’s theatre. LaLaScoop: Thank you so much, Tanna!